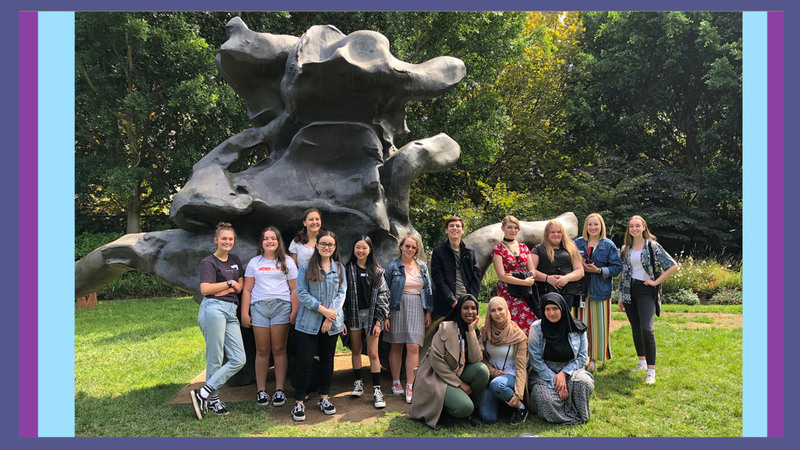 A group of Year 11 and 12 Art students recently had the opportunity to see the exhibition Escher x nendo: Between Two Worlds at the National Gallery of Victoria (NGV). Students gathered to hear about Escher’s life and creations before spending time looking at the exhibits on display. Many people are familiar with Escher’s drawing of a hand, but this exhibition showed a vast array of intricately detailed artworks that explored such esoteric concepts as metamorphosis and mathematical objects. Others included impossible objects (a type of optical illusion), explorations of infinity and the use of symmetry and perspective. Escher did not claim to understand mathematical principles, but his work has been highly acclaimed by mathematicians as well as the general art public. This very interesting exhibition concluded with lunch provided by the NGV in the Great Hall. Year 11 and 12 Art teachers, Helen Ross and Jennifer Cameron, would like to thank the Education Staff at the NGV and Krystyna Campbell-Pretty, whose generous donation to the NGV made this visit possible.